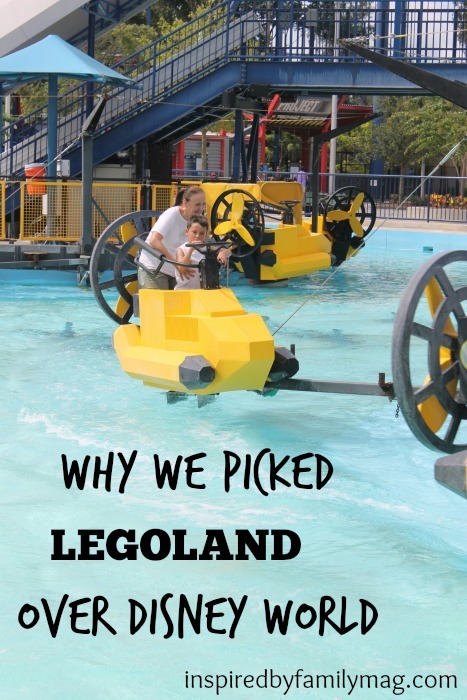 This was actually quite a hard decision for us, especially since our boys are still young enough to love all things LEGO and Disney. 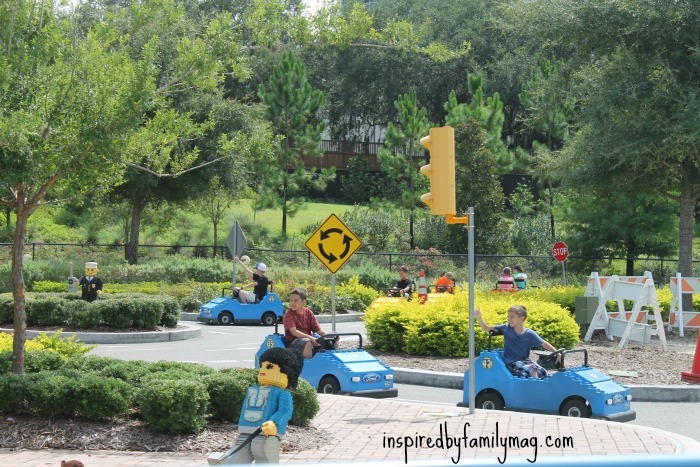 When we finally made the decision to go with Legoland, I still felt unsure. I just didn’t want to regret our decision. The whole day at Legoland was a confirmation that this was where we needed to be. This trip was not our only opportunity to visit either of those parks so this also helped me view our decision from the perspective of–when they get a bit older we’ll do Disney. 1. 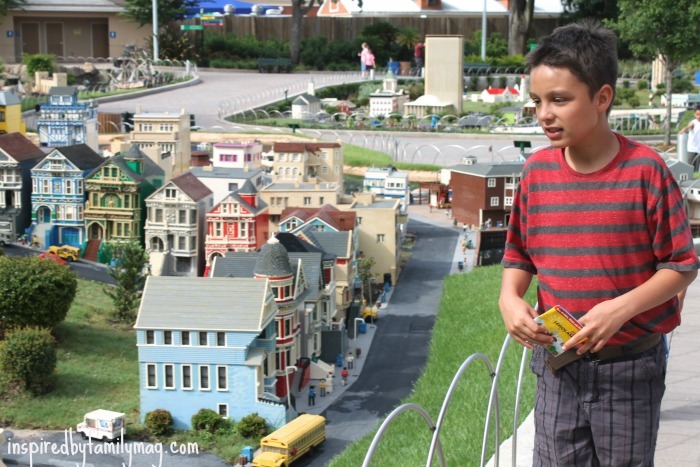 Our kids will outgrow LEGOLAND simply because Legos may not be a priority in their life at the age of 15. Note, I said “priority” as I’m well aware of many adults who still love and collect LEGO toys. 2. The park is smaller in size. Usually, I think bigger is better but in this case–smaller trumped for lots of reasons. 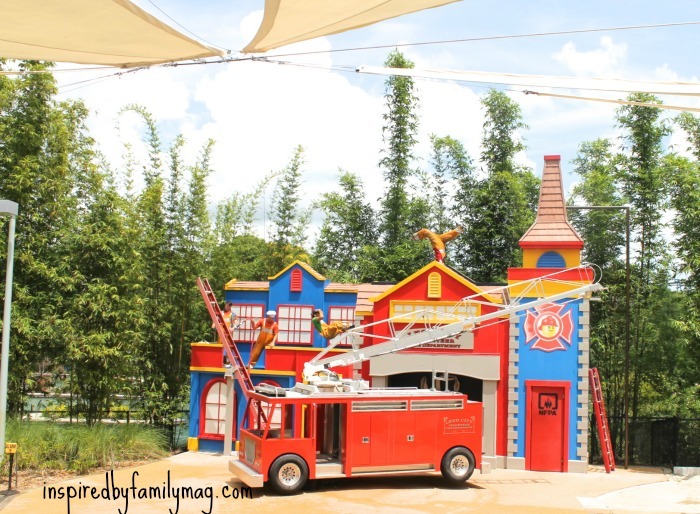 Visiting most of the rides in one day seemed doable and not an overwhelming task with three kids all under the age of 10. 3. They were surrounded by kids in their age group. 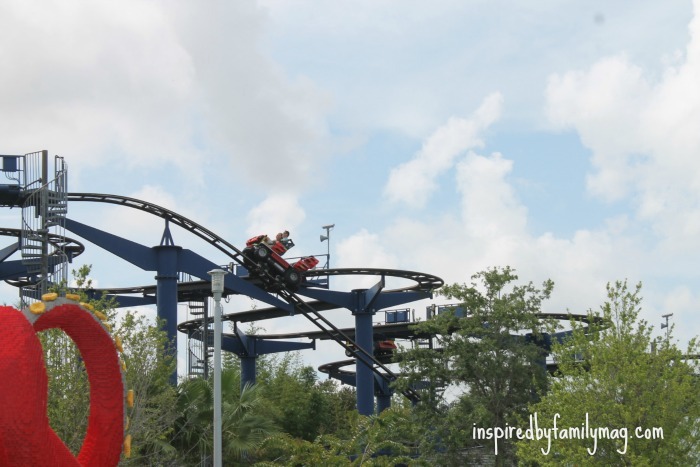 The park caters to children and their families so I never felt like my child may get runned over by a crowd of older teens racing to a ride. 4. Parking was easy and nearby. The parking lot was only a few feet away from the entrance. Though that may seem like a small detail, it makes a world of a difference, at the end of a very LONG day. 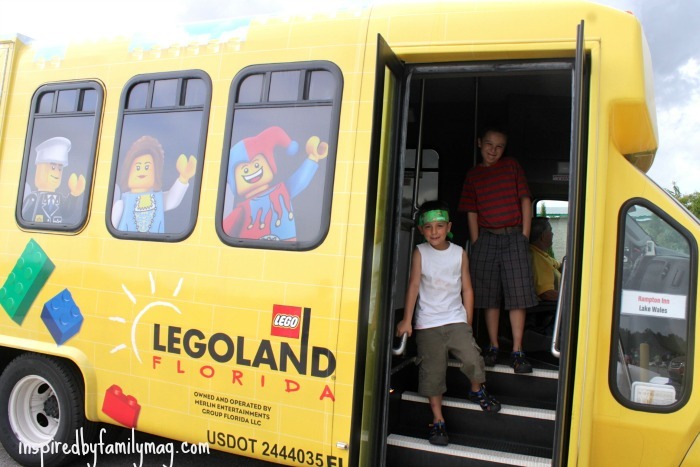 We had a car but we chose to use the LEGOLAND shuttle our hotel provided. But if I did it again I would drive myself since everything was so easy and accessible in getting there and parking. 5. Food and souvenirs were much more affordable. 6. 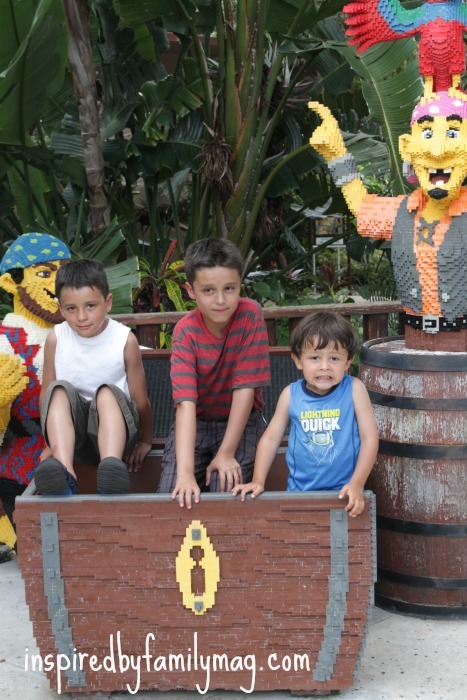 There were far more deals and coupons to choose from at LEGOLAND than for Disney World park. 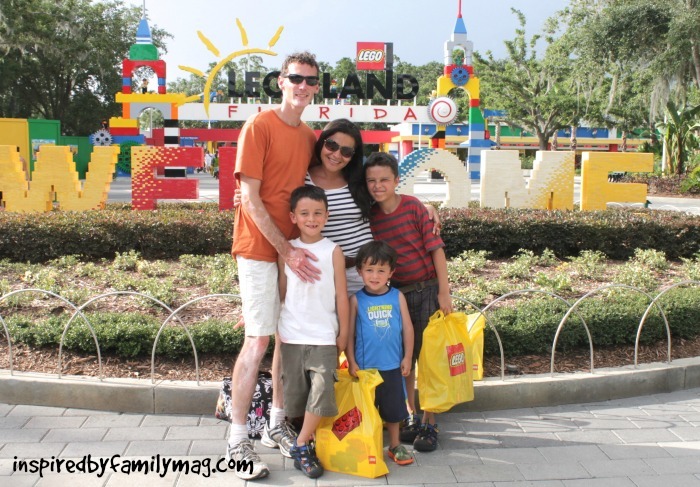 I was able to get a buy one adult ticket and get a child entrance for free via the LEGOLAND magazine my son gets in the mail (image above). Between these coupons, our free media passes and the free tickets my brother gave me we were all set. 7. 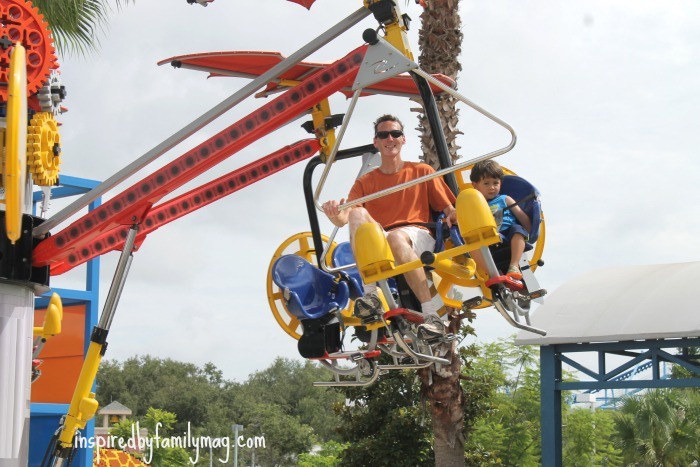 There are also rides that the adults can enjoy with the kids so we were able to enjoy lots of activities as a family. For example, this image above was an activity where we had to work as a team to get the firetruck to move forward and put the fire out. Hopefully, this helps you as you weight out your options and what works best for your family. 1. Checkout the layout of the land before arriving and make a plan. You can go to their website and see a map of the park. 2. Go to the back of the park first and then move your way towards the entrance. This worked out wonderfully for us. On the day we visited we didn’t have much of a line to wait in for most of the rides. The bigger rides did have some very minimal waiting but nothing major. 3. 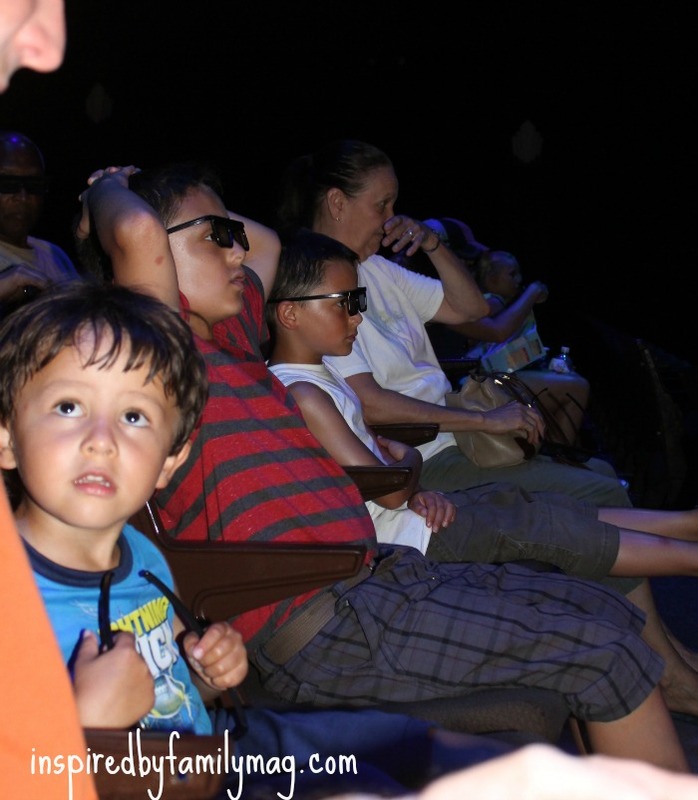 Plan your indoor shows around the hottest time of the day or around the time your kids are needing to rest their feet. The picture below is actually an outdoor show but it was in a shaded area and if you sit up front, you’ll get wet. 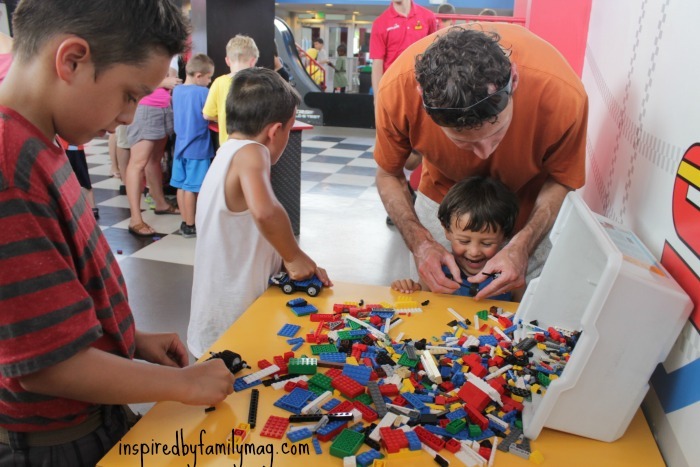 There was a LEGO Chima 3-d show that was nice and cool, and a great time to sit down and rest those feet. There’s also an area where the kids can build. It’s indoor so it’s air conditioned and the kids had a lot of fun making their own little cars and racing them on the tracks that were provided. 4. Stay cool! There are lots of mist machines throughout the park for you to stand under. 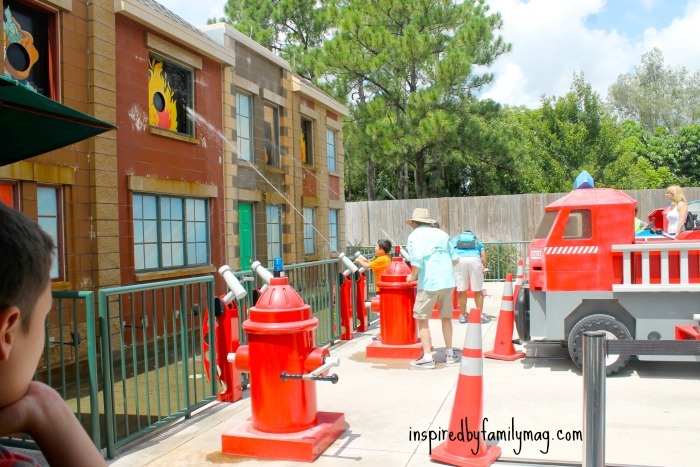 There’s also a water park and rides that you can enjoy which involve getting wet. 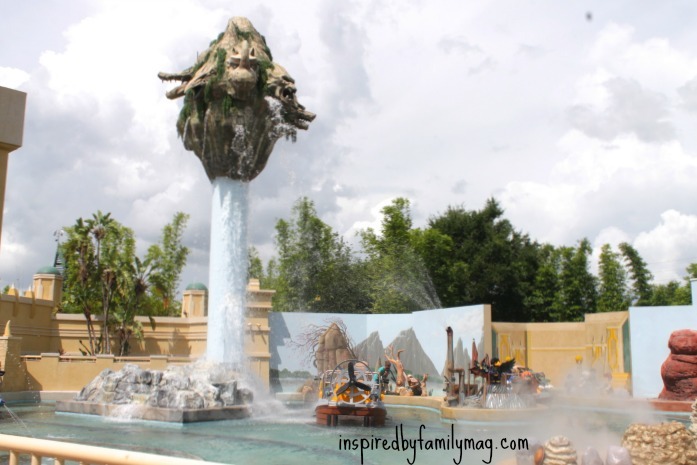 The picture below is of a Lego Chima Ride. You see how soaked they got in the picture below. 5. There are some restaurants in the park that provide you with free refills–use them! Next time, I’ll head there at around 1o a.m. to make the most of our free refills. 6. Make sure to take Lego men with all of their body parts so you can trade them with the staff at LEGOLAND. My kids really enjoyed doing this. Each one of them brought one and they traded them throughout our time at the park. The picture above is the driving school ride. 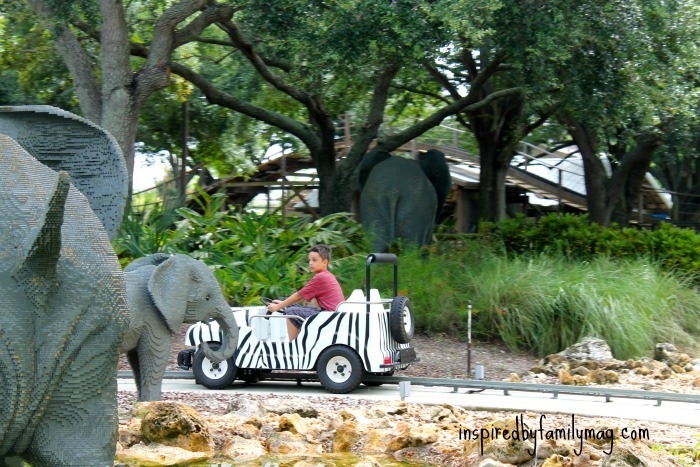 It was one of my boys favorite part of the park–this takes a long time to go through but they are indoors, while they wait. The kids go to “driving school” and then they get to go out and drive their car. 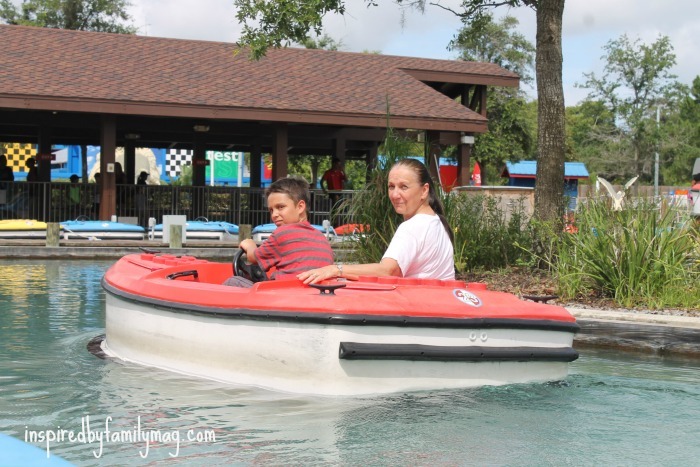 You can even get LEGOLAND licenses made with their picture and name. Okay, I have a bunch of other great pictures but I’ll stop before I bore you. 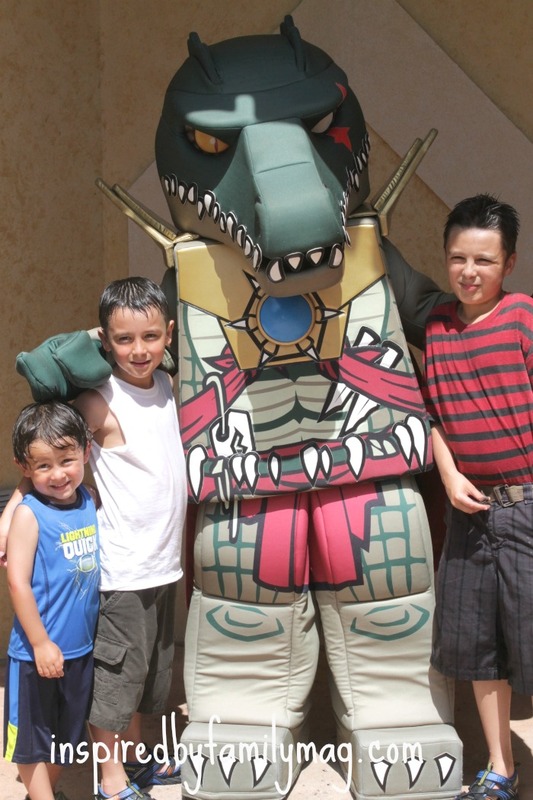 This was a dream come true for my boys and on their own they picked LEGOLAND over Disney from the get go. We made the ultimate decision on what was the best option and we agreed with them. We were so blessed to have had my brother pay for our hotel, my mother-in-law drove all the way down from GA to be with us and provide us with a car and then I received 2 free media passes. 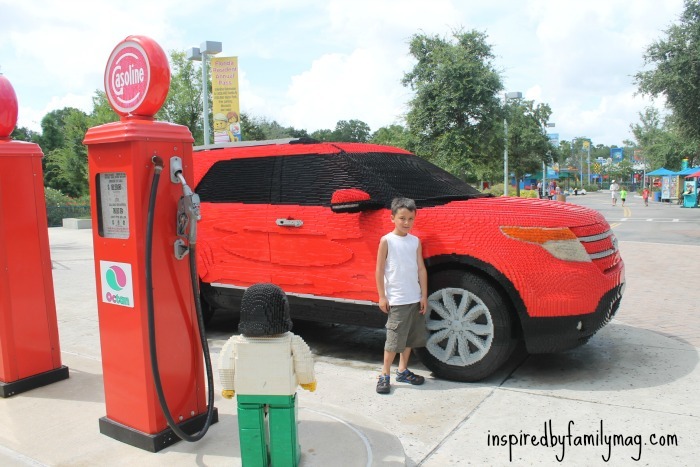 (I had the opportunity to receive 2 free tickets for either park LEGOLAND or Disney as a blogger).